Budget iPhone to go back to plastic? There's a growing voice saying Apple is working on an entry-level iPhone and the latest report suggests it will ditch the fancy glass finish for a more economical plastic chassis. Apple is no stranger to the use of plastic on its phones as it used the material on its handsets up to the iPhone 3GS, with the well known glass-metal combo only coming into effect with the iPhone 4. Now Digitimes has spoken to one of its infamous "upstream supply chain sources" which has "confirmed" that the budget iPhone will sport the plastic chassis of old in an attempt to keep costs down. This hardly comes as much of a surprise, as using cheaper materials for the handset's body is one of the key ways for Apple to keep the price of the final unit low. A plastic chassis could be music to the ears of clumsy iPhone owners who have seen their shiny smartphones shatter as they hit the deck – just ask our very own Kate Solomon and Gareth Beavis, who both managed to smash iPhone 4s back in the day. We're not counting our chickens just yet though as Digitimes doesn't have a particularly glistening track reckord with these sort of leaks and there's been no official word from the Cupertino-based firm that it's even considering a cut-price iPhone. 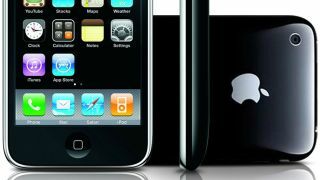 According to the same source the first entry-level iPhone will hit stores in the second half of 2013 – we'll just have to wait and see.